Happy belated New Year! We hope you have had a great start to 2019. We also hope that, in 2019, you will grasp every opportunity, make the most of it, become a better version of yourself, and live a fulfilling, purposeful life! Seeing that it is the new year, we thought it would be great for you to know us better! 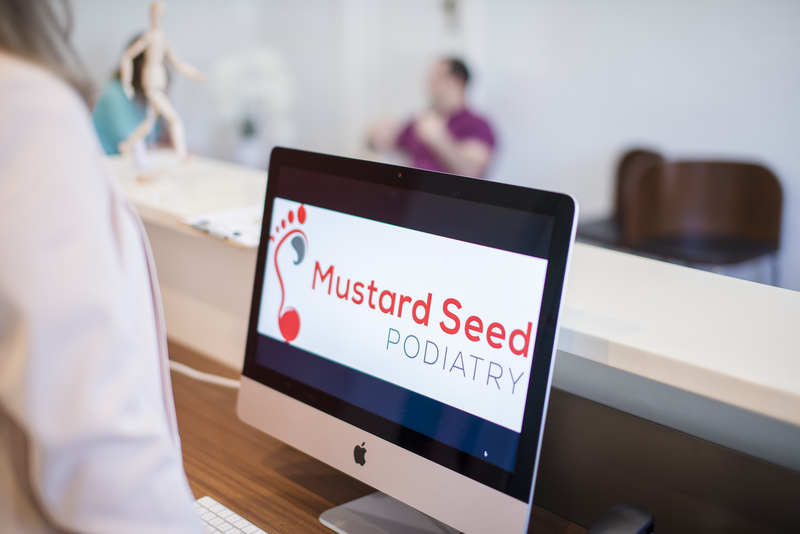 Time and time again, we encounter ideas concerning us, or the podiatry profession in general. Sometimes, those statements are true. Sometimes, not so much. 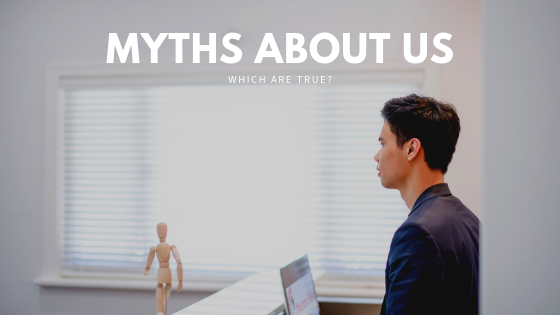 Read on to see what myths/ideas we encounter frequently, and what each of us has to say about them! Myth 1: You must have perfect feet! S: This one is actually true for me. I can’t speak for other podiatrists, but my feet are really quite close to perfect. I don’t have any hard or rough skin. In fact, my feet are super soft like baby’s feet. My toenails are healthy. My toes are straight. I’d think they are 99% perfect because there is always room for improvement. L: No, no. You do have a “ridged” callus under your little toes. You are starting to get one of those now, so I’ll say your feet are 95% perfect because your feet are really quite soft and smooth. As for me, I’ll say I am far from having perfect feet unfortunately! I blame it on wearing bad shoes during my teenage years. Now I have a small bunion, claw toes, and callus on my feet…I must say, though, since I started wearing orthotics and sensible shoes, my feet have got better. I can really do with using more foot cream on my feet…although I do ask my clients to do that a lot. S: I only have two pairs of shoes – one pair of sports shoes and a pair of black leather shoes. I also own a pair of thongs, but working 6 days a week means I only get to wear them 1 day a week at most, if it all. I’ll say my shoes are pretty good, especially the sports shoes I wear to work. L: Let’s just say I try to be sensible with my footwear. When I go out, I tend to wear my sneakers with orthotics, so that I can walk a lot more without complaining. During summer, my go-to is my Birkenstock. They are supportive and protective without compromising too much on looks. My guilty pleasure is my one and only pair of stilettos – they are the prettiest thing, but I really can’t walk far in them! I only wear them on special occasions that involve mainly sitting. S: Yes, I do Lydia’s feet, and she doesn’t do mine. L: Well, yeh, that’s only because you never ask! S: No, I don’t really do that. I think. S: Most of the time I am trouble-free. The only time I remember having sore feet was during my trip in Europe last year. 20,000 steps plus every day and lack of sleep aren’t the best combination. Good thing I brought the spiky ball with me. L: Same. We were just not used to working our feet so hard. You do need time to build strength in your feet to cope with that amount of walking. I know I am going to have sore feet, legs and back when I wear bad shoes…I am more prone to getting aches and pains because of the loose ligaments and hyperflexible joints (aka hypermobility) that I was born with. That’s why I tend to self-treat a lot – foam rolling is one of my favourite things to do! Seeing that it is also the new year, have you got any New Year Resolutions? S: No, not really. I believe in constant improvement, or implementing changes any time when needed. L: No, I haven’t quite thought about that. My take on New Year Resolutions is very similar to Sam’s. You can always change any time you want. New year isn’t the only chance. Say like, if someone does have some New Year Resolutions, what would be your advice? S: Make sure they are doable and measurable. Find an accountability buddy to hold you accountable. That will make it more effective. L: I agree. It depends on how self-motivating you are. If you are the kind that can make it happen by just fixing your mind on it, then go ahead and rule your resolutions! If you need a little bit of a push, find someone who really will push you will be important for you. Otherwise, you may end up feeling frustrating and disappointed! There you have it – our frequently encountered myths and our thoughts on New Year’s resolutions. Have you got other myths about us that we didn’t cover? Let us know! Previous PostEnterprise of the Year 🏆 ! Really?! Next PostHere comes March again, and it’s celebration time!